Twins beds are a great option for a guest room. Functioning perfectly for when you have more than one single guest coming to stay at your home. 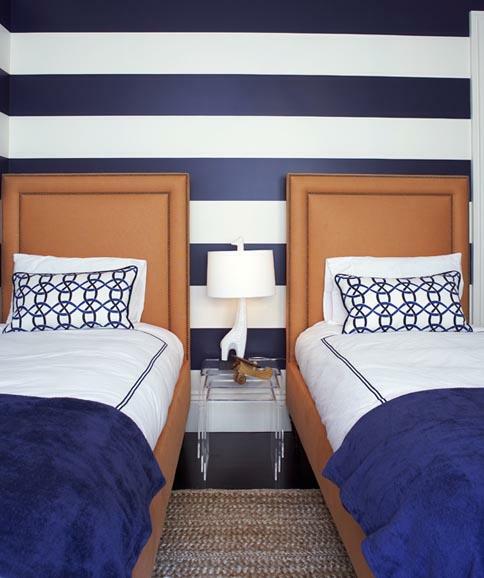 Everyone knows I'm a sucker for symmetry and there's nothing that gives you that look better than a room with matching twin beds. 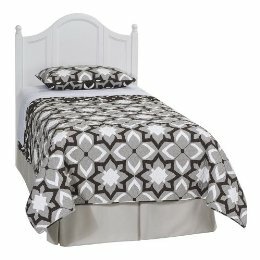 I always find twin headboards at the thrift store that leave me dreaming of all of the ways I could make them glamorous. 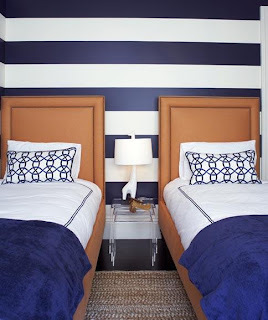 But if you want to jump right on the glam train, here are a few headboards that you can put in your room immediately. The rich wood color and low profile are so elegant. 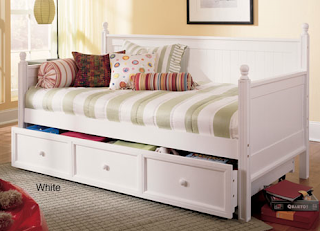 Perfect for a small space where there's only room for one full-time bed. If you have two guests, you can pull out the extra bed from underneath and tuck it away again in the morning. 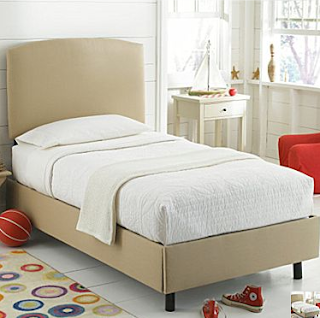 If your nursery also functions as a guest room, this is a great option for you. And it's something that your little one can grow into one day. 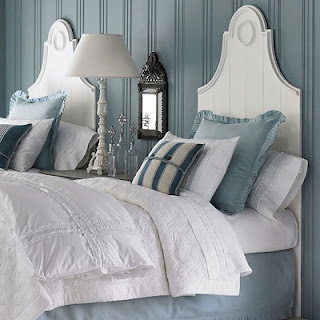 I'll always have a soft spot for the cottage look. So sweet and inviting. 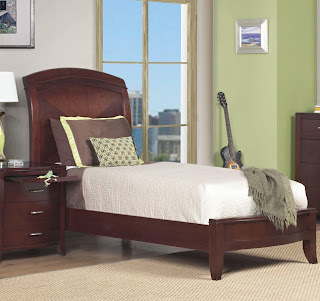 Pick your own upholstery, customized just for your room and bedding. Monogramming also available. Nothing says sophistication like nail trim. 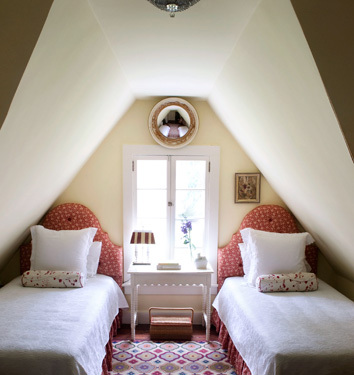 And for some final inspiration, gaze upon these amazing rooms. Designed by MassuccoWarner Miller Interiors.